Will Lime Juice Get Rid of Fleas? Fleas are a recurring problem for most pet owners, infesting pets, homes, yards and even bodies. Chemical pesticides are effective at killing fleas and their offspring, but they cause health problems for humans and pets. Natural remedies for fleas are effective at eliminating the problem and can be store-bought or homemade. One such remedy is lime juice flea spray. This remedy is safe for pets and humans but deadly to fleas. 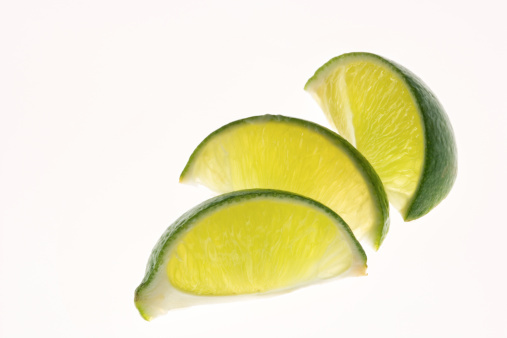 The citrus oils in the juice and peels of limes make effective flea killers. D-limonene is a substance found in citrus fruits such as oranges, grapefruits, lemons and limes. This substance is extremely toxic to adult fleas and flea larvae. Fleas and their larvae are covered in a protective, waxy coating, which prevents injuries and dehydration. D-limonene dissolves that coating, leaving fleas and larvae vulnerable. Eventually, exposure to D-limonene causes the fleas and larvae to dehydrate and die, eliminating flea problems. Often, a simple citrus spray is made to combat flea problems. This spray is made with limes, although the limes may be combined with or replaced by other citrus fruits in a pinch. Simply slice a lime into wedges, then make tiny cuts, or scores, in the lime peel. Pour 1 cup of boiling water over the slices, letting the mixture soak overnight in a closed container. Remove the slices from the mixture the following day, and squeeze the slices to extract any remaining juice into the container. Pour the mixture into a squirt bottle to use for eliminating fleas. The natural spray made with limes and lime juice may be sprayed directly onto pets. Use the spray on the fur of dogs and cats as needed, but ask a veterinarian about use on small animals. It is also safe for hard and soft surfaces, such as furniture, floors, bedding and walls. Treat areas daily until flea activity diminishes. Once the flea problem is under control, do not halt flea treatment. Simply cut back the spray application to once weekly to prevent fleas from becoming a problem again. Although lime spray is safer than chemical pesticides, some animals (and humans) are allergic to the spray. It can cause irritation or swelling of the skin and might require medical treatment if this occurs. Also, the spray is irritating to the eyes and nasal passages of humans and animals, so use caution when applying the spray to animals or when using the spray around humans. If an animal ingests an excessive amount of the spray or is exposed to too much spray, as with any insecticide, seek veterinary assistance. Jamie Conrad is a professional writer and artist, having over 10 years of experience in both writing and performing arts. She has worked as a news anchor, newspaper reporter, freelance writer, and theatre artist, veterinary technician, and teacher. Her work has appeared in various local newspapers and extensively on eHow. Conrad studied at West Virginia University and holds a B.A. in theatre and journalism. 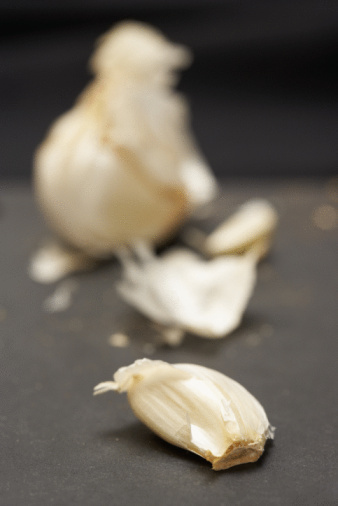 Does Lemon Extract Kill Fleas? Do Pine-Sol & Vinegar Kill Fleas?